Left-hander Herb Thormahlen won 29 games in the major leagues and 159 in the minors, pitching from 1916 through 1933. (Baseball databases list Thormahlen as Hank, but in the several thousand news stories scoured in the preparation of this biography, never once was he described as Hank.) He hailed from Jersey City, New Jersey, born there as Herbert Ehler Thormahlen on July 5, 1896. His father, John, worked as a driver. His mother, Margrette, was a New Yorker, born to two German parents. John Thormahlen was native to Germany and arrived in the United States in 1878. Herbert was the fifth Thormahlen child at the time of the 1900 census, preceded by Fred, Harry, Alfred, and Mabel. Three of the older siblings went into retail, working with silks and woolens. Mabel became a stenographer. And Herb became a professional baseball player. Thormahlen was released outright but seems to have played with Hackensack that season and with the Baltimore Orioles of the International League (1-7) before being optioned in mid-June to Chambersburg of the Blue Ridge League, where he debuted on June 9 and pitched to a 13-7 season record.3 On August 16 he set a league record with a 12-strikeout game against Gettysburg. He was brought back to Baltimore in September and beat Providence, 12-1, in the last home game of the season, on September 12. He kept active with the Egberts again, pitching late into October. Thormahlen had a breakout season with Baltimore in 1917, winning 25 games and losing 12, with a 2.74 ERA. Baltimore’s Jack Dunn had sold lefty pitcher Babe Ruth to the Boston Red Sox just three years earlier. Now he had another southpaw whose season attracted offers, and Thormahlen’s contract was sold to the New York Yankees on August 13 for a reported $10,000, after “spirited bidding” between New York and Clark Griffith of Washington, who no doubt wished he’d kept an option on the young lefty.4 The pitcher was 21-7 at the time of the sale. Griffith missed out. He had somehow cooled on Thormahlen; witness his release in 1916 and then a lookover at Baltimore around the first of July in 1917. Griffith was quoted in the July 3 Washington Post: “Pitcher Thormahlen was said to be a wonder, but he didn’t impress me a bit.” Yet there he was bidding for the pitcher’s services a little over a month later. Thormahlen was no Babe Ruth with the bat; he hit for a .208 average with nine home runs in the entirety of the 13 years he ultimately pitched in the minors. His major-league average was .168, without a home run. He was 6 feet tall and was listed at 180 pounds. The deal with the Yankees had Thormahlen stay with the Orioles through the end of their season, and then join New York. The 25 wins he recorded tied him for most in the International League. Thormahlen pitched in his first big-league game on September 29, 1917. It was the second game of a doubleheader against the visiting Chicago White Sox. The Yankees were in sixth place, 30 games behind the first-place Chicago White Sox. He threw a good game, pitching eight innings and allowing two earned runs. There was an unearned Chicago run as well. Unfortunately, Thormahlen’s team scored only once against Eddie Cicotte of the White Sox. Thormahlen struck out five and walked four; he gave up nine hits. Thormahlen lost his first two decisions in 1918, the first loss an April 19 matchup pitting him against Red Sox pitcher Babe Ruth for most of the game. The Red Sox won, 9-5. Thormahlen could well have earned the win; New York outhit Boston 13 to 8, but there were six Yankees errors and he was charged with six of the runs, five of which were unearned. His second loss also came at the hands of the Red Sox, four days later. This time he gave up only one run and two hits, but was beaten by Joe Bush and the bat of Babe Ruth. The game was still scoreless after eight, and Thormahlen had a no-hitter going. With one out in the bottom of the ninth, Amos Strunk singled between short and third. Ruth came in to pinch-hit and singled to center, Strunk taking third. Stuffy McInnis was walked intentionally. George Whiteman hit a shallow fly to Ping Bodie in left, but Bodie was “apparently too derned eager to start his throw to the plate” and he dropped the ball, giving the Red Sox a 1-0 victory.7 There had been three baserunning blunders by Yankees batters, too. Thormahlen then won seven in a row (two of them 1-0 shutouts in May). Somewhat inexplicably, between those two games (on May 16 and 22), he was sent to Toronto. In the May 22 game, he pitched 14 innings, beating Cicotte and the reigning world champion White Sox, 1-0. Thormahlen had not been scored on for 34 consecutive innings. He only gave up one run when New York beat Cleveland on the 27th, 7-1, the lone run scoring on a balk during an attempted steal of home plate by Bill Wambsganss. And yet there he was pitching for Toronto on May 31, losing to Syracuse. After the June 14 game, Thormahlen missed a month with ptomaine poisoning, followed by a knee injury.8 And after the July 31 game, he was done for the season. Rather than remain subject to the military draft, he’d signed on with Tietjen and Lang Dry Dock Co., a shipbuilder in Hoboken, and planned to play for the company ball team.9 He even had an opportunity after hours to play some more semipro ball, notably facing off against Yankees teammate Slim Love in a 13-inning 2-2 tie on October 6, Thormahlen once again pitching for the Egberts. The war over, the young southpaw was back again with New York in 1919 and had an excellent 12-8 (2.62) season, with a 1.145 WHIP (walks and hits per inning pitched). He won his first six decisions, which included back-to-back shutouts in May against the Tigers and Indians followed by a 2-1 five-hitter against the White Sox, all during the same road trip. In 1920, still working for manager Miller Huggins, Thormahlen was married on March 19 in Jacksonville to Helen Anthony of West Hoboken. The lefty got off to another strong start in the baseball season and was 3-0 by May 2, winning each of his first three starts. His first loss was a 2-1 defeat by the Browns. But he was hammered a few times in the middle of the year and spent almost a couple of months working out of the bullpen. He ended the season with a 4.14 ERA, well above the 3.32 team average, and he was seen as “not consistent … something of an in-and-outer. … In one of his good streaks, he looks like one of the foremost southpaws on the diamond, but when he strikes the morass he flounders badly.”10 The Yankees saw an opportunity to work a trade of quartets with the Red Sox and dealt him with Del Pratt, Muddy Ruel, and Sammy Vick for Boston’s Harry Harper, Waite Hoyt, Mike McNally, and Wally Schang. The Red Sox saw Thormahlen as only 24 (his birth year was understood to be 1897), with good upside potential, but the Yankees’ evaluators may have been on target in their assessment of him.11 He was 1-7 with the Red Sox in 1921, winning his first game but then losing each of his next seven decisions and winding up with a 4.48 ERA after nine starts in 23 games. The 1921 Yankees finished first, winning their first pennant, in part thanks to Babe Ruth’s 59 home runs and Carl Mays’s 27-9 season. 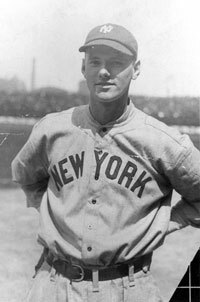 Waite Hoyt, obtained in the December trade, won 19 on his way to a Hall of Fame career. Thormahlen trained in the springtime of 1922 with the Red Sox, but on April 29 – not having appeared in a game for Boston – was sold to Minneapolis. He was 13-6 for the Millers. In December 1922, Minneapolis released Herb to the Kansas City Blues. The terms were not disclosed. There was another left-handed pitcher at the time named Henry Thormahlen, two years younger but apparently not Herb’s brother (he came from South Boston). He was a semipro who pitched in a Boston Twilight League game for the Dorchester All-Stars on May 16, 1923, and played for Albany that year. After the season Henry won a 1-0 game for the Cornet All-Stars in Lynn, Massachusetts, beating Salem for the Essex County title. If there were a Hank Thormahlen, this would be the one. He pitched for Albany again in 1924. Indeed, a July 1, 1926, article in the Hartford Courant referred to Henry (working for Bridgeport) as Hank, but Herbert was normally either Herb or, very occasionally, Bert. Herb had started the 1925 season in the majors with the Brooklyn Robins, purchased in April from Dallas.13 He appeared in five games (two starts, both of which he lost), and was 0-3 with a 3.94 ERA before his contract was sold to Rochester on May 8. On May 19 both Thormahlen and Toronto’s George Smith pitched 18 innings in a game that ended in a 1-1 tie. After his 13-12 season in 1925, Herb was 19-11 in 1926 and 13-15 in 1927, all for Rochester. Henry moved on to other teams, pitching through 1934, mostly in the Texas League. At one point in 1928, Henry struck out 14 batters in a row in a semipro game in Boston. Herb pitched through 1933, exclusively in the International League, from 1928 on with the Montreal Royals, except for the 1932 season, when he was with Toronto. After baseball Thormahlen somehow wound up making his home in Los Angeles and working as a security guard in a bank. He died at home on February 6, 1955, at age 58, survived by his daughter, Yvonne Eisenhower.14 He was widowed at the time of his death, and suffered from cirrhosis, colon cancer, and bowel obstruction. In addition to the sources noted in this biography, the author also accessed Thormahlen’s player file and player questionnaire from the National Baseball Hall of Fame, Bill Lee’s The Baseball Necrology, the Encyclopedia of Minor League Baseball, Retrosheet.org, and Baseball-Reference.com. 1 Unidentified newspaper clipping dated March 1915 found in Thormahlen’s Hall of Fame player file. 2 Washington Evening Star, January 22, 1915. See also Sporting Life, January 30 and March 6, 1915. 3 Sporting Life, April 3, 1915, and an unattributed clipping in Thormahlen’s Hall of Fame player file. No reason was given for his unconditional release, which was reported in the March 26 Washington Post. 4 Baltimore Sun, August 14, 1917. It was part of a $20,000 transaction that brought the Yankees Chick Fewster and Bill Lamar at the same time. Lamar had been to spring training with Thormahlen in 1916, another Washington recruit who had been let go. 5 Baseball Magazine, August 1918, 349. 6 Baseball Magazine, August 1919, 206. 7 Boston Herald, April 20, 1918. 8 Watertown (New York) Daily Times, July 18, 1918. 9 Jersey City Journal, August 1, 1918. 10 New York Times, December 16, 1920. 11 The January 16, 1921, Boston Globe provided an optimistic look at his prospects. 12 Augusta (Georgia) Chronicle, April 6, 1926. 13 New York Times, April 12, 1925. 14 The Sporting News, February 16, 1955, and State of California death certificate from Thormahlen’s Hall of Fame player file.